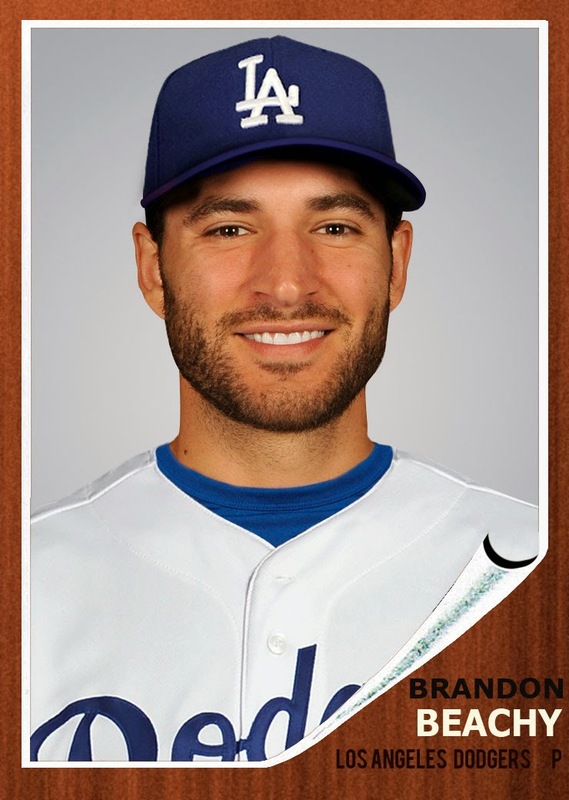 Dodgers Blue Heaven: Welcome to the Blue, Brandon Beachy! Yesterday afternoon the Dodgers announced a brand new signing, and it's was not one of the highly-regarded Cuban prospects everyone is talking about. Instead, the Dodgers front office dipped into their back of tricks and came away with a starting pitcher who is still on the mend from his second Tommy John Surgery. As they say, this is a "high risk, high reward" signing, and ultimately provides some needed depth for the second half of this season. Former Atlanta Brave and highly talented starting pitcher Brandon Beachy is now a Dodger. He signed a reported $2.75 million contract for 2015, plus a club option for 2016 worth approximately $3 million. He will not be competing for a job this Spring on the big league roster, but is expected to contribute later in the season when he is fully recovered. As I intimated above, he is coming off his second arm surgery since coming into the league in 2010. Strictly speaking, this is another signing of a pitcher with significant potential, but with some injury history that has stifled his development into a frontline starter. Much like recently signed Brandon McCarthy and Brett Anderson, Beachy has the skills to succeed at a high level. We'll just have to wait and see if he can fullfill that promise. Beachy, 28, has gone 14-11 with a 3.23 ERA in 46 Major League starts with Atlanta from 2010-13, missing last season due to March 21, 2014 Tommy John surgery. In 267.2 innings in the big leagues, Beachy has limited opposing hitters to a .220 batting average and posted a 3.20 strikeout-to-walk ratio, striking out 275 and walking only 86. After making his MLB debut as a September call-up in 2010, the Indiana native had a breakout 2011 season, going 7-3 with a 3.68 ERA in 25 starts with the Braves. Beachy's 169 strikeouts in 141.2 innings led the club and placed second among big league rookies in 2011, with his average of 10.74 strikeouts per nine innings ranking as the fourth-best all-time mark among MLB rookies (min. 25 starts), behind only Kerry Wood (12.58, 1998), Dwight Gooden (11.39, 1984) and Hideo Nomo (11.10, 1995). Through 13 starts in 2012, Beachy led the Majors with a 2.00 ERA and a .171 opponents' batting average before he underwent Tommy John surgery on June 21. Following rehab, he made only five starts with the Braves in 2013 and needed to have a second Tommy John surgery on March 21, 2014. Beachy, who will wear No. 37 with Los Angeles, was originally signed by the Braves as a non-drafted free agent on July 22, 2008 out of Indiana Wesleyan University. Via Mike Petriello at Dodgers Digest, "Dodgers Sign Brandon Beachy, A Risk Very Much Worth Taking." Why high reward, you say? Beachy’s a fascinating story. Undrafted out of Indiana Wesleyan University, Beachy signed as a free agent with the Braves in 2008 and found himself with a cup of coffee in the bigs in 2010. The next year, he put up one of baseball’s shockingly great performances, striking out 169 in 141.2 innings. Beachy’s K%-BB% that year was 20.8. Clayton Kershaw, who won his first Cy Young in 2011, had a 21.3%. At 24, he looked like a guy the Braves could count on for years. Via Ken Gurnick at MLB.com, "Dodgers ink Beachy to a one-year deal." "By the time he's ramping up, our starting pitching depth might look different than it does now," Zaidi said. "He was a really valued target for us. I think his ceiling, based on what he's done before, is that of a mid-rotation starter or better." In celebration of Beachy's arrival to the Dodgers I made the above fantasy card for him. I used a photograph grabbed from Jon Weisman's post here and the 1962 Topps Baseball card design.